Client: Atos Origin IT Services UK Ltd. When you require dilapidations carried out to a deadline cast in stone, your choice of contractor can be extremely limited. This 60,000 sq. 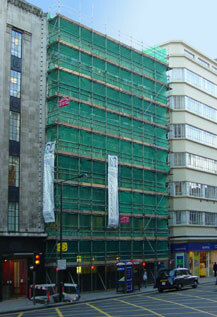 ft office block on 6 floors required a full strip out of tenants’ fixtures and fittings back to the ‘bare walls’. Reinstatement included extensive demolition, full decorations to offices and common parts, suspended ceiling repairs, new lighting, floor covering and mechanical refurbishment. Deadline 12 weeks, completed in 12 weeks.